GoPro is looking to broaden its horizons (no pun intended). The action camera maker is said to be developing its own line of consumer-oriented drones that’ll come equipped with high-definition cameras according to people familiar with the matter as reported by The Wall Street Journal. The multi-rotor helicopters are slated to go on sale late next year priced anywhere between $500 and $1,000 which – depending on features and quality – could put serious pressure on competitors like DJI and Parrot. Speaking of, multiple drone makers already offer support for GoPro cameras in the form of pre-installed mounts. If the rumor pans out, it’ll be interesting to see if manufacturers continue to support the cameras or perhaps look to offer their own type of camera. While a GoPro-equipped drone would no doubt be appealing to some, it would most certainly be a bit redundant to those looking to buy a drone that already own one of the company’s action cameras. 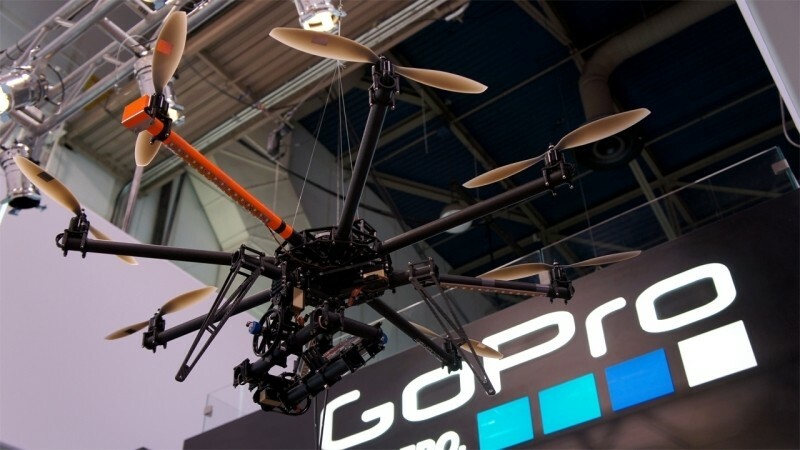 The report is unclear on whether or not GoPro’s drones would come with a non-removable camera built in or if the camera could be an optional accessory. Drones have exploded in popularity over the past year or so and have left regulators scrambling to come up with a set of rules to govern their use. At present, hobbyists are permitted to fly them under certain circumstances; commercial use, however, is a completely different story. The FAA is expected to release guidelines on business use by the end of the year.